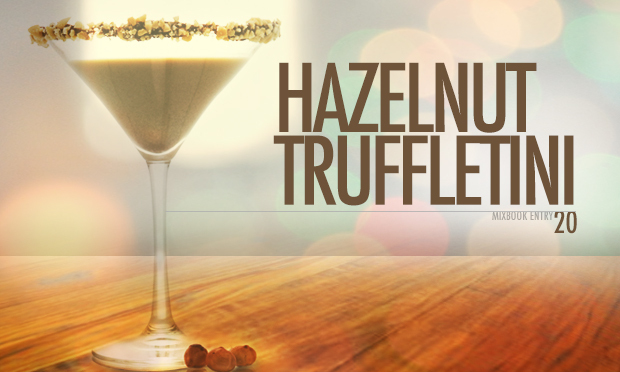 Start by placing a couple of hazelnuts in a plastic baggie, and rolling over with a cocktail muddler or rolling pin to crush. 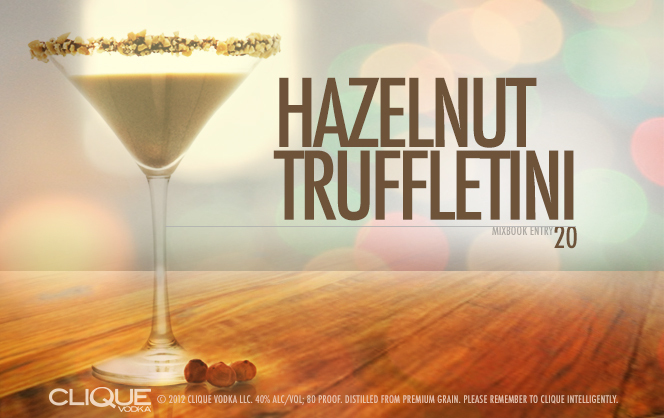 Add a tiny bit of fudge sauce to a plate and rotate outer rim of a cocktail glass through it, then dab into the crushed hazelnuts to coat. In a cocktail tin full of ice, shake 1 1/2 oz Clique Vodka, 1 oz Godiva Chocolate Liqueur, 1/4 oz Frangelico, and 1/4 oz Bailey’s Irish Cream until frothy, and carefully strain into glass. Of course we always love to see how you are enjoying Clique Vodka, and #TheNewBlack bottle, so be sure to tag your Instagram photos with #CliqueShots to be automatically entered to win a #CliqueShots 100 Holiday Gift Set!